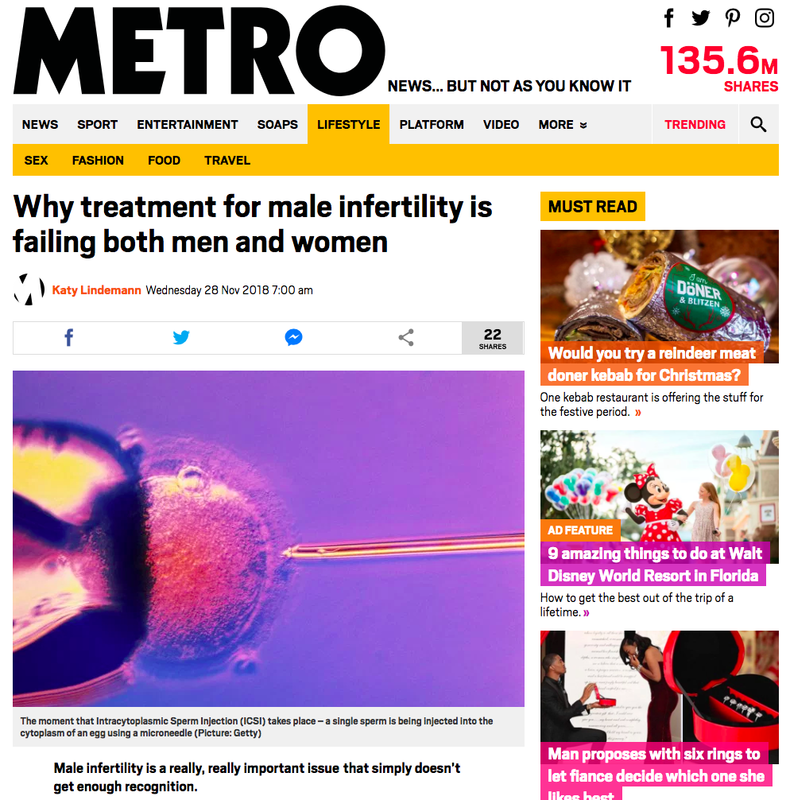 Men are massively overlooked in the fertility experience more generally: but the inadequate care for male infertility - inadequate diagnosis, meaning inadequate treatment - is also harming women, as ICSI treatment bypasses the male problem to treat the issue in the woman’s body. Normally I rail against articles which focus on the miracle baby success stories, but in this instance these examples - real examples, from real couples - were pretty critical for the overall argument (spoiler alert: that if treatable problems were diagnosed and treated, this might increase the chances of success, or eliminate the need for invasive ICSI altogether.) These stories are used to demonstrate tangible examples where proper care has made a tangible difference to the outcome. Which I hope will spark discussion and debate! It’s an issue that’s woefully ignored in both public discourse and within the fertility industry itself - so I hope that this article will help to encourage more open conversations about this issue. I’m writing a book that challenges the fantasy infertility narrative of endless positivity and happy endings, by sharing real women’s (and men’s) stories about what it’s really like to struggle with infertility and pregnancy loss. My goal is to represent as many different perspectives as possible — including the male perspective. There are questionnaires for both the female and male perspective — and I’d particularly love to hear more from the guys!